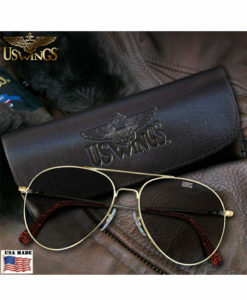 The Cockpit USA Vintage Goatskin G-1 available at US Wings! The Cockpit Vintage Goatskin G-1 is styled like the earlier M422s/G-1s from WWII, Korea & late-60s Vietnam and feature hand-distressing for that authentic “aged” look. Made in the USA. 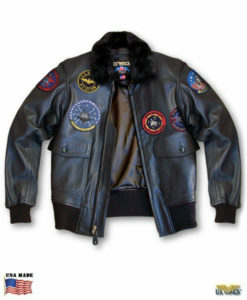 The Cockpit USA Vintage Goatskin G-1 is styled like the earlier M422s/G-1s from WWII, Korea, and late-60s Vietnam. 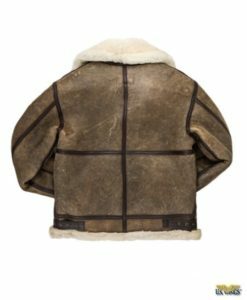 Hand-distressed for that authentic “aged” look. This G-1 is a great blank canvas for adding your own USN or USMC patches, especially original vintage patches. 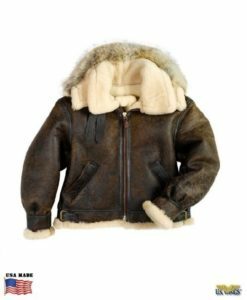 This authentic, vintage-style jacket is one of the finest we’ve seen and one you’ll be proud to be seen in! Made in the USA.